Residential Ice Machines - Riddle Heating & A/C, Inc. Sometimes cracking individual ice trays trying to pop out ice cubes is simply not enough to meet your ice needs. 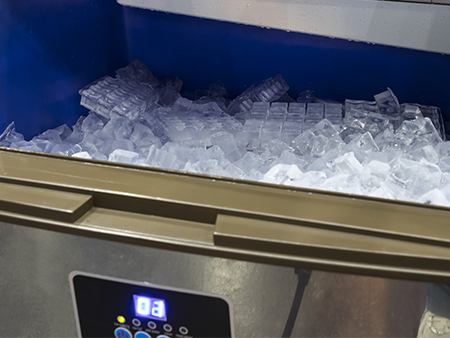 Whether it is for your break room, your home, or a small restaurant, an ice machine gives you continued, convenient access to high-quality ice. But beware- your ice machines might be a home of different contaminants without your notice. The ice might appear crystal clean and germ free but you never know what is in there. At Riddle Heating & Air, we give high attention to your ice machines and other equipment at home. We know that these machines could be breeding grounds for health issues that may leave your family unhealthy. If you want a trouble-free and clean ice machines, do not hesitate to call our experts. We provide the most affordable and detailed cleaning, repair and maintenance services for all brands of ice machines. Every machine goes through a complete sanitation process for optimum ice machine efficiency.